During the holiday season, it's easy to overspend and exceed budgets on presents and outings. Fortunately, there are a few ways you can ensure everyone on your shopping list is remembered while also being mindful of your finances. The banking professionals at River Bank have been serving the La Crosse, Wisconsin, area since 1991. 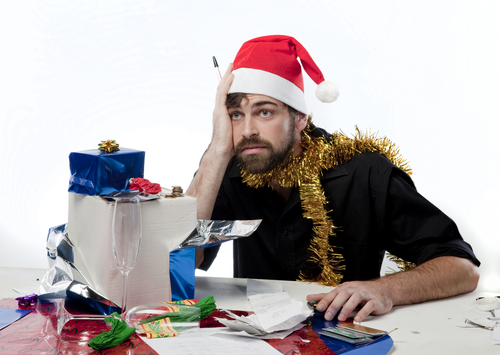 Here, they share three money management and banking tips for the holidays. No matter what time of year it is, committing to a budget can truly benefit your finances. It's especially important during the holidays, when deals and bargains make it simple to splurge. Proper preparation is key. Before you shop, carefully review your banking records and accounts to determine an amount you can comfortably spend. The most important part of the process is to stick to it. Before hitting the stores, compile a list of all the people you need to shop for. Think of family, friends, and colleagues that you want to remember at this special time of year. For each of these individuals, allot a percentage of your budget. Not only will this organization help you come in on or under budget, but it will also make the shopping experience even easier. Plan and save for your holiday budget all year long by opening a savings account. Each week or month, commit to setting aside a small amount of money and placing it in your savings. When the holidays come around, you'll have the resources you need to pamper your loved ones with the holiday gifts they deserve. For information about opening a savings account or any other banking services, contact River Bank in La Crosse today. Call these home loan and investment experts at (608) 788-6300 or visit the website to learn more. Make sure your holidays are merry and bright for your family, your friends, and your budget.